Message on the card inside reads: "Love, everlasting and true"
Sculptor Susan Lordi considers the posture and profile of this piece to be somewhat iconic. It speaks about a love so strong that it continues on beyond a lifetime. The words everlasting and true express the idea that love can go beyond death. 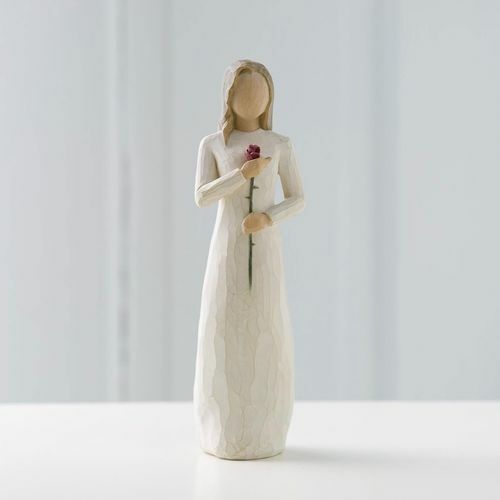 The rose stem gradually blends into the womans body, so theres no separation between the object that shes holding and her body. 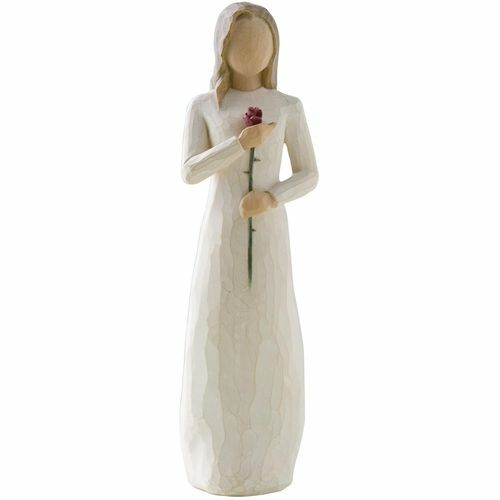 Susan wanted the whole Willow Tree figure to be a symbol of love, not just the rose.